SARGEIST was started in 1999 as a solo project by Shatraug, the leader of HORNA, member of countless other projects and one of the most prominent figures of Finnish underground black metal scene. 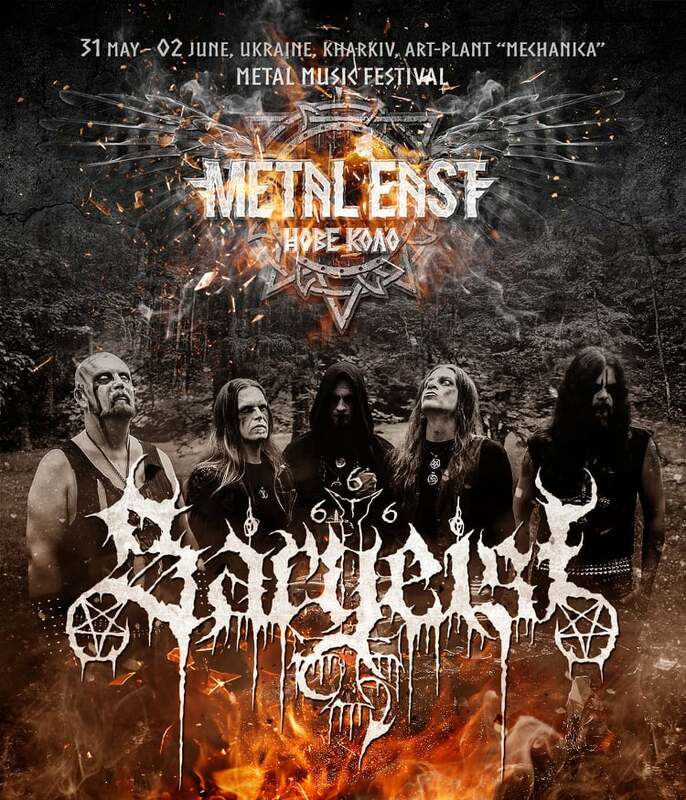 After brief one-man project demo period SARGEIST became full line-up band with Shatraug joined by musicians from other Finnish cults, BEHEXEN and SATURNIAN MIST. Four full-length records accompanied by numerous splits and EP’s followed and cemented band’s reputation as masters of purest black metal created in the name of Satan. After the release of “Feeding the Crawling Shadows” album in 2014 all the members, except the founding one, left the band, but already in 2016 Shatraug revealed his new partners in crime – experienced musicians from such acts as DESOLATE SHRINE and NIGHTBRINGER among others. This line-up has not released any studio records as for now, so we all are about to witness the dawn of a new SARGEIST era at Metal East Nove Kolo festival in Kharkiv, Ukraine, from May 31st to June 2nd of 2019.